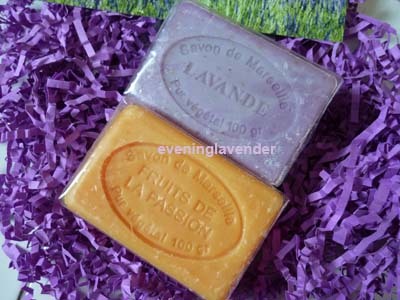 A few weeks ago, I received some made in France natural bath soaps. I was so glad that they sent me the Lavender scented soap. Although I am not a regular soap user, unlike my mom, I was pleasantly surprise that the soap lathers well and it is not drying to my skin. The lovely postcard that was enclosed in the parcel. As soon as I opened the parcel, I could smell the pleasant scent. It is truly a treat to my senses even without using them. I unwrapped them and took some pictures before using them during shower. Le Chatelard 1802 manufactures natural soaps, for body and home, using the traditional recipe of Savon de Marseille. Savon de Marseille is truly an authentic French soap because every bar of soap is hand made in Saint-Auban sur Ouvèze, in Provence (France) using 72% vegetable oil. Because of its formula at neutral pH, which does not dry the skin, these soaps provide an intense source of hydration and softness. Delicately perfumed with flowers, fruits, etc... they offer a rich lather that nourishes, moisturizes and perfumes the skin. 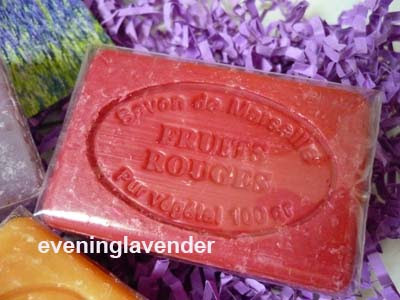 The 3.5oz soaps are made using a traditional recipe from Savon de Marseille. 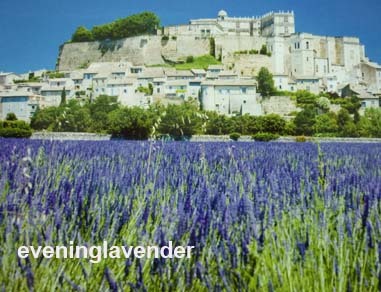 Only the highest quality natural ingredients that are found in Provence - France are used to produce these soaps. The non-drying formula provides an intense source of hydration leaving your skin super soft. You will feel pampered everytime you wash with one of these French bars of soap because they have a rich lather that nourishes and perfumes the skin. I am amazed that they have more than 60 scents, you are sure to find one you will love! Check out www.buyprovence.com to see the selections available. I really love to look at the pictures of the soaps. 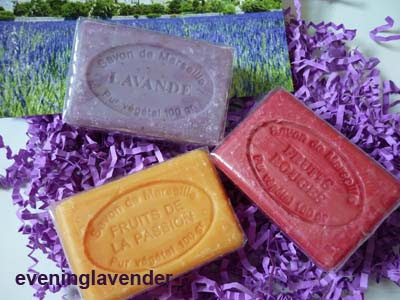 I really love the Lavender soap as it has grainy texture from the plant and it acts as a scrub soap. The smell is very calming and helps to relax my mind after a hard day's work. The scent lingers in my bathroom for a while after each use. It is very surprising to me that the soap is moisturising and not drying at all. For those who loved to treat your senses during shower, you would love these soaps. You can even store the soaps in your cupboard to scent your clothes. Theses soaps seems really attracting to me, I wish i can try them soon. thank you for your nice report here, have a good summer !